f/5.6 , @1/5000 , ISO - 1600.
nice one teal against a green bg, it works well, excellent work HIMADRI. Nice flight shot showing the wing pattern. Wow, this is a really great flight shot, one of the best I've seen of this species. Wow, what a beauty. I love he colors, light and down wing stroke showing up the green patch. Congrats on EP. such a sweet image Himadri. Very nice! Beautiful takeoff shot with the trailing water droplets, and the color and pattern of the background are awesome. Congrats. Superb shot, Himadri! Such exquisite plumage detail throughout, and all the colours on show. What a treat! 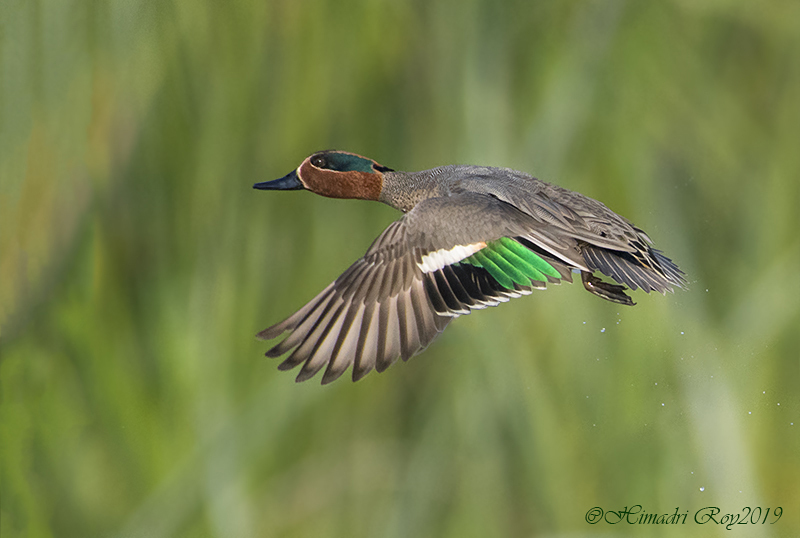 Gorgeous display of the green speculum- excellent shot!